Summer hanging in collector’s home. Miami. 2012. 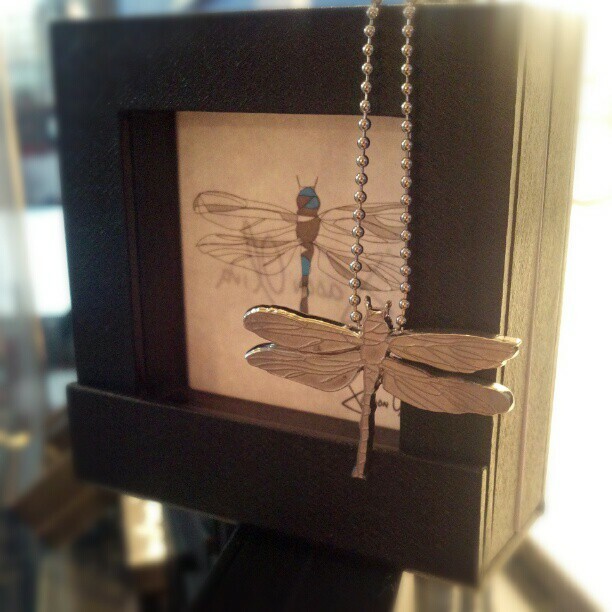 ‘Dragonfly’ was first made into a Jason Oliva [Jewelry] piece in 2012. It is a true representation of Jason’s original work on canvas Summer (2010), capturing both the artwork’s isolation and the same unique balance of weight and lightness. Dragonfly is available as a sterling silver pendant and, the same as all Jason Oliva [Jewelry], is imaginatively presented in a gift box that doubles as a frame. The frame allows for the display of a miniature print included in the box. Both print and gift box are hand signed by Jason. 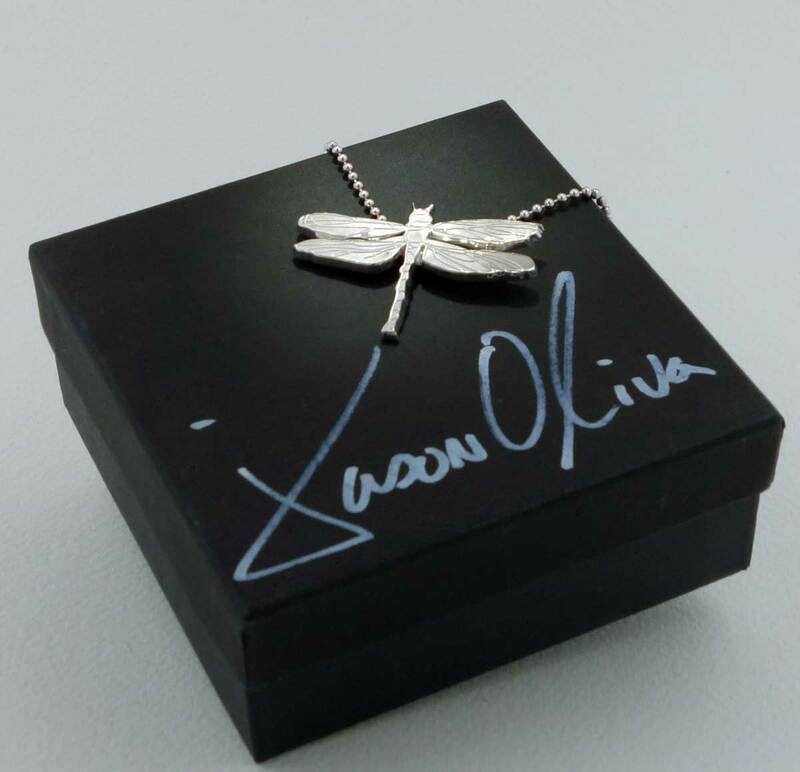 Dragonfly sterling silver pendant with hand signed gift box. 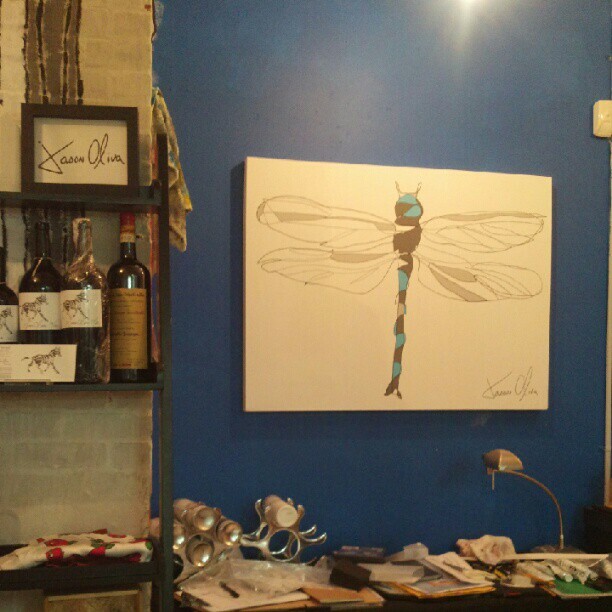 If you are interested in purchasing a Dragonfly jewelry piece please email Jason Oliva at jasonoliva@gmail.com. To read more about Jason Oliva [Jewelry] please follow this link. 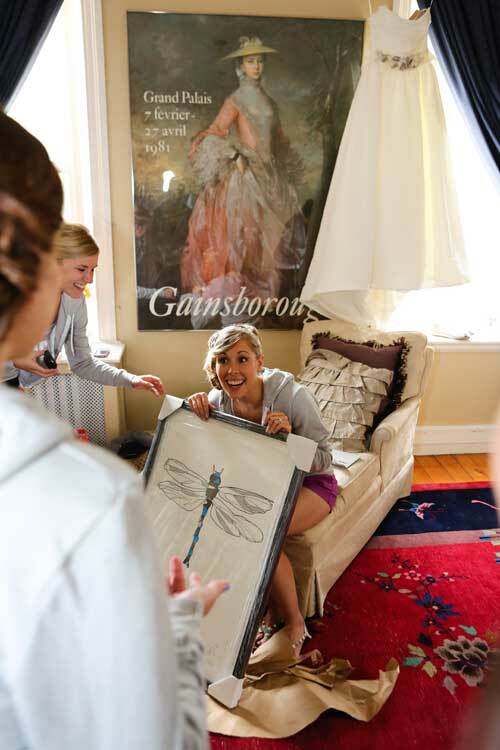 Collector receiving Dragonfly work on paper on her wedding day. 2012. 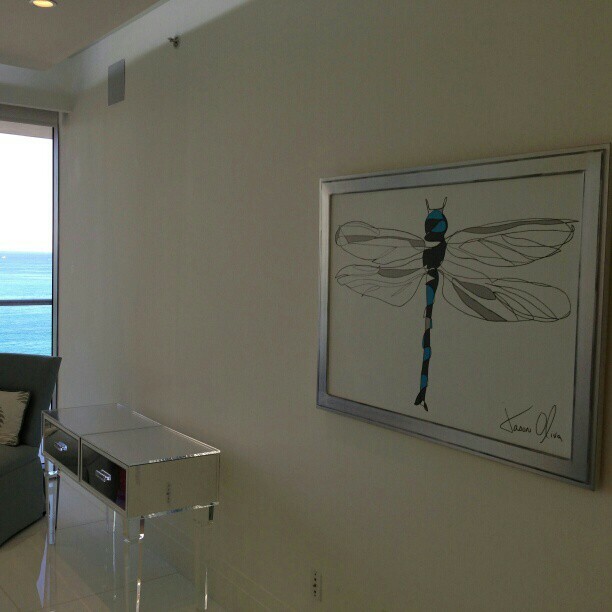 Dragonfly work on paper hanging in collector’s home. NYC. 2012. 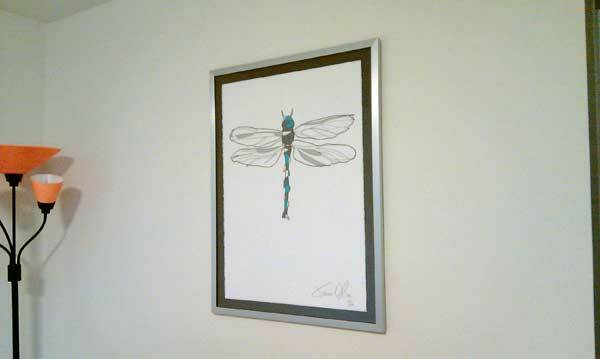 Dragonfly is also available as a limited edition work on paper. Please refer to Jason Oliva Works on Paper for more information. … and last but not least, here is a Dragonfly poem by Tennyson.